As a rule, the Museum is self-guided so that guests can “discover” Culpeper at their own speed. Our very friendly and informative front desk volunteers usually give a brief introduction in order to get visitors oriented. More involved tours are possible. 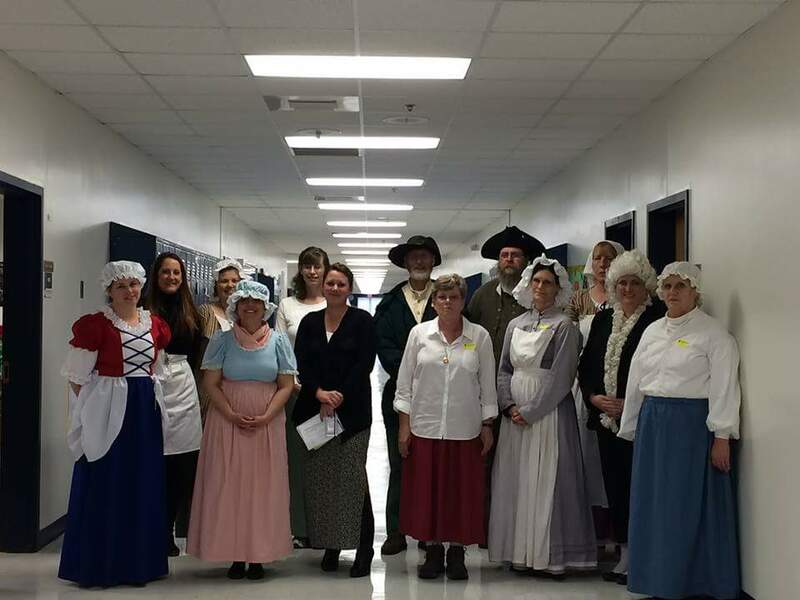 If you want more interaction with the front-line staff, just ask: they are very happy to talk about Culpeper! We will design a tour especially for your group of 10 individuals or more! Special rates apply! Special tours are available for all school groups, designed with your curriculum in mind. A staff member is available to visit your school and give a presentation about the museum or a special exhibit (ex: dinosaurs). Home schoolers, after school groups, Scouts, etc. are all welcome here for specialized tours! Tours available Mon. through Fri., 10:00am – 4:00pm, and weekends by special arrangement. There is a nominal fee for guided tours. 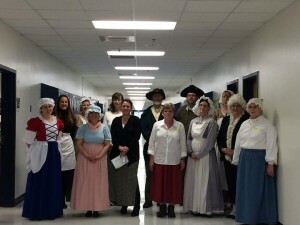 Living history interpreters visiting a local school! By appointment only. Please call for information. Note: Culpeper County residents with ID are FREE thanks to grants from our town and county! Site developed by K Art and Design, Inc.